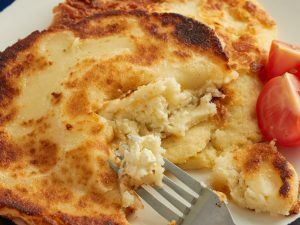 Arepas are typical fritters of South America, a recipe originally from Venezuela that is very widespread also in Colombia. These are small round rolls that are prepared with water, salt and white corn flour, an indispensable ingredient for preparation, and which can be found in ethnic food stores or large supermarkets. 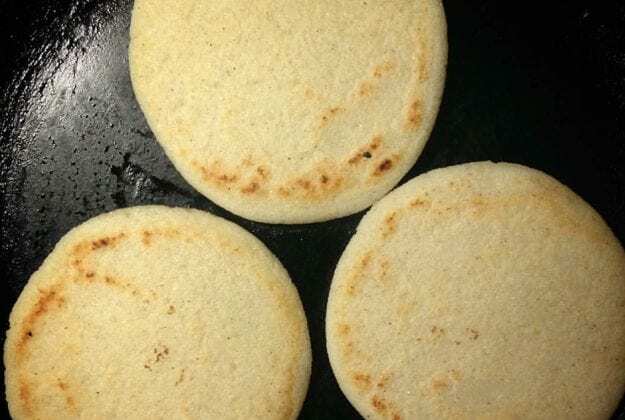 Arepas are a very simple and quick recipe to prepare: the dough should rest only a few minutes and it is immediately ready for a quick cooking in the pan. 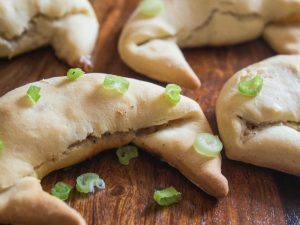 Once ready, they are excellent to accompany all kind of dishes, or you can cut them horizontally to stuff them with cheeses, meats, vegetables or whatever you like. Here's how to prepare these delicious fritters in no time! Put the water in a bowl and add the salt, then add the white corn flour. 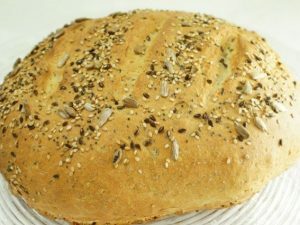 Stir first with a wooden spoon and then knead with your hands, until you get a firm dough and soft to the touch. Let it rest for at least a quarter of an hour. Now form small balls with your hands, a dozen, and crush them obtaining 1.5 cm thick plates. Serve your hot fritters (3) to accompany your dishes or stuff them like small rolls with cold cuts or cheeses. 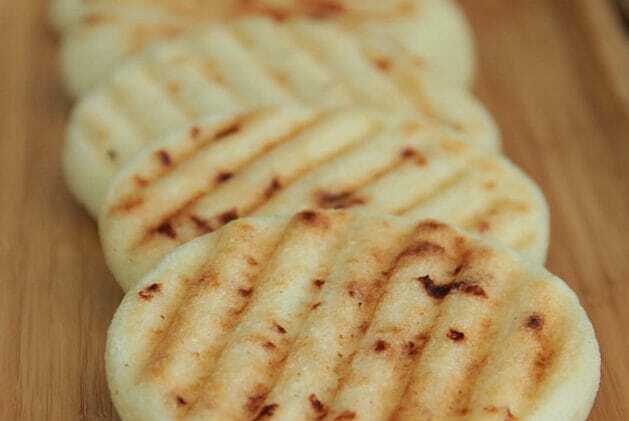 – The use of precooked white corn flour is essential to prepare the arepas. On some packages you can find written “for arepas”. 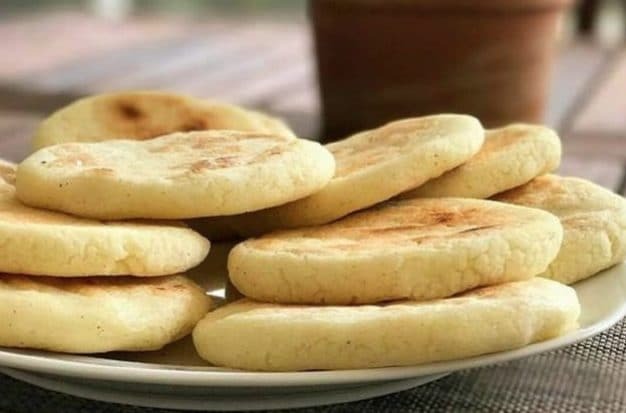 – The mixture of the arepas must be soft and hard at the same time; the dough has reached the right consistency if manipulating it does not stick to the hands. 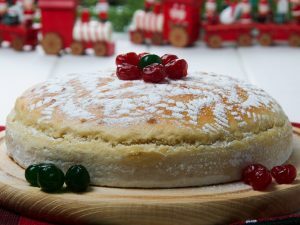 – The arepas are also excellent desserts; you can open and stuff them with Nutella, jam or whatever you like. 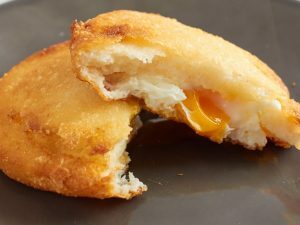 – If you want to prepare the arepas in the oven, make your dough, form some balls and crush them to a height of about 2 cm. Put the pasta round portions on the oiled plate, to slightly brown them, then transfer them on a baking sheet and cook them in a preheated oven at 180 degrees for 15-20 minutes. 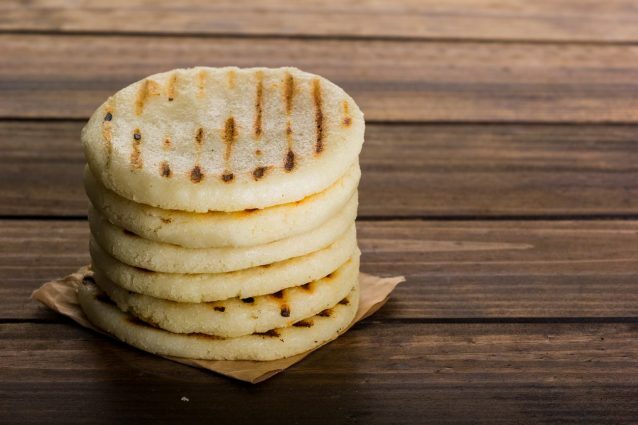 The arepas can be preserved for one day in a bread bag or in an airtight container. Once cooled, you can also freeze them in freezer bags.